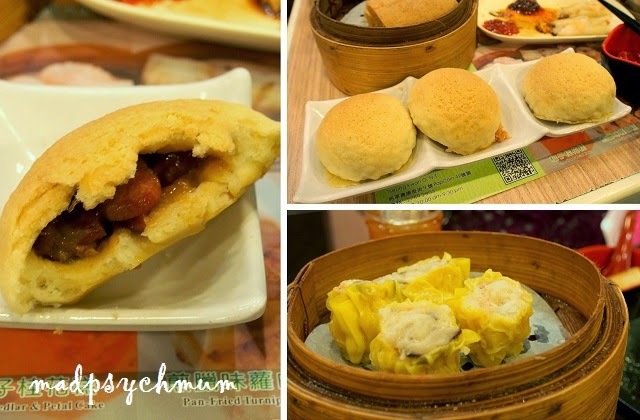 After a great soak in the warm waters, we headed out to the IFC Mall to try the popular Tim Ho Wan 添好運 that we have heard so much about. To get there, take the MTR from Mong Kok Station to Central Station, and exit via Hong Kong Station located beside Central Station (if you exit via Central Station, just go on the overhead bridge and follow the signs or ask around). People in Hong Kong were really helpful. We managed to find the place with ease because along the way, there was always someone who asked us if we needed help (we must have looked really lost *laughs*). A crowd had already gathered by the time we arrived. We squeezed to the front of the crowd and got a queue number and order form from the staff at the counter. And we were really lucky as for some reason, everyone in front of us did not have their full party with them (the restaurant only seats you when everyone in your group has arrived) so we only waited for 30 minutes for an available table. 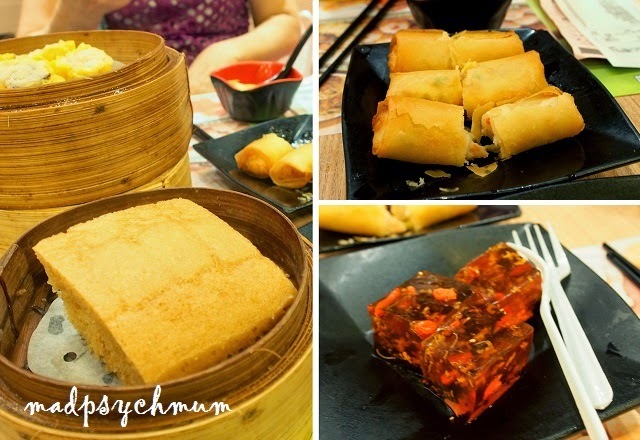 What's dim sum without har gow (prawn dumplings)? These were to die for! Spring rolls were crunchy and well.. "springy"! Simply loved the Guai Fa Gou (osmanthus jelly), which was not too sweet. We took away the Ma Lai Gou & 8 pieces of har gow for her to eat when she woke up. Even when it was no longer hot, both were still good to eat and my girl finished every single bite! We stopped by a nursing room (see my review here) for my usual expressing (I think Mum-in-law realised then it might have been more time-saving and convenient to bring the baby.. time-saving, maybe. Convenient, I don't think so!). 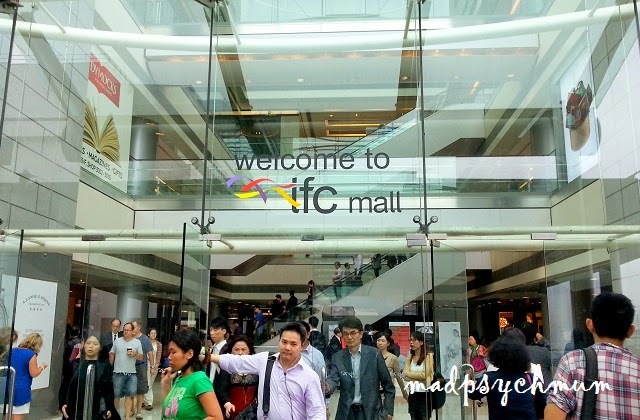 Once I was done, we shopped around IFC Mall for a while before proceeding back to Mong Kok. We continued shopping till we were too tired to continue and returned to the hotel for a short break. We went back out again to look for Chan Kee Restaurant, which was famous for its roasted goose! If you're trying to get there from Royal Plaza Hotel or Grand Century Place (like we did), walk through the bus terminal and across the overhead bridge (see photo below) till you arrive at Argyle Street. Walk straight ahead until Reclamation Road and you should see the restaurant on your left. If you passed by H&M @ Langham, you're on the right track (you may want to take a screenshot of google maps like I did so that it's easier to find your way). Look at all the roasted goose, yum! 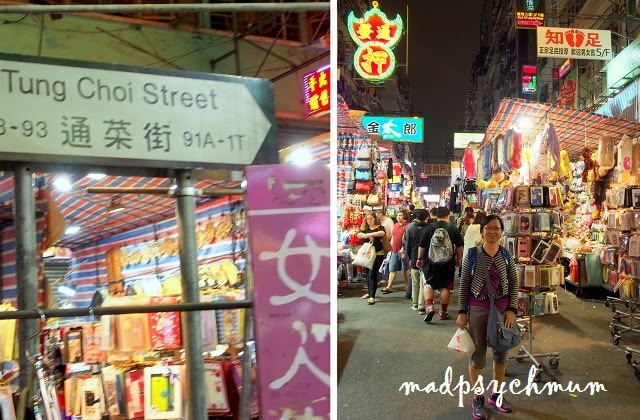 After a very full dinner, we decided to explore Hong Kong's famous Lady's Market located at Tung Choi Street.